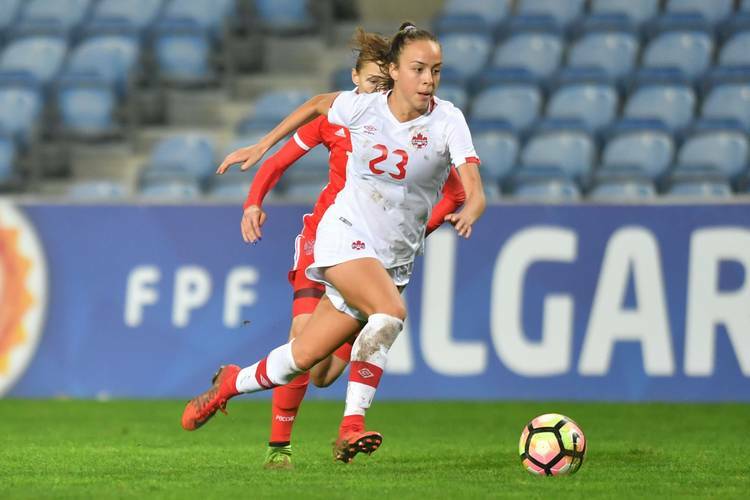 With Sunday’s 7-0 win over Panama in the semifinals of the CONCACAF Women’s Championship, Canada qualified for the 2019 Women’s World Cup. Julia Grosso and Emma Regan are two of the players on Canada’s roster. Grosso is a freshman midfielder at Texas. Regan, who is also a freshman, is a starting defender for the Longhorns. Grosso has started in three of Canada’s four matches at the CONCACAF event. Regan appeared off the bench in a 12-0 rout of Cuba on Oct. 8. Canada and the United States have advanced to Wednesday night’s CONCACAF championship, which will be held at Frisco’s Toyota Stadium. Grosso and Regan are set to return to Texas in time for the Longhorns’ home game against Kansas on Friday. Because of their duties with the Canada’s national team, neither freshman has played in a conference game this season. Ranked 20th in the United Soccer Coaches’ poll, Texas is 3-2-1 in Big 12 play.